TellTale made it big with their Walking Dead series, bringing a more interactive storytelling style to a show that was already quite popular. In doing so, they set themselves up for a series of games from different franchises, such as Borderlands and The Wolf Among Us. 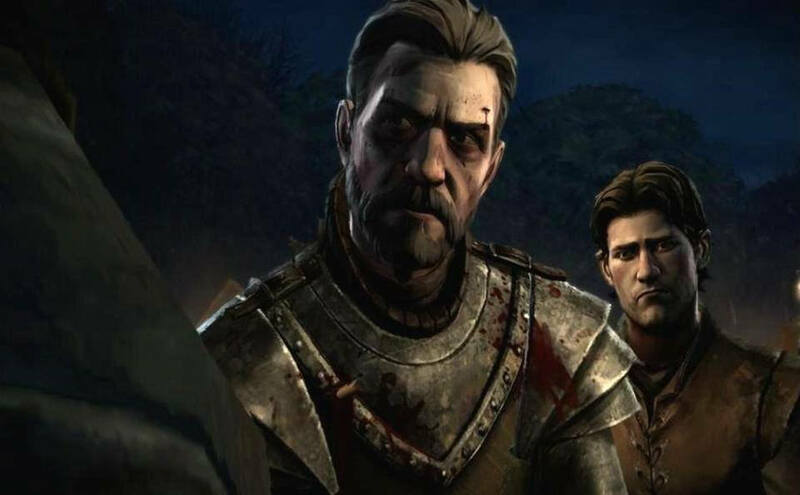 It’s really no surprise then, that Telltale landed themselves the massively popular Game of Thrones IP, given their pedigree when it comes to storytelling with games. Spoiler Alert: While we won’t be going into too much depth of the story, there might be some spoilers. If you aren’t caught up until, at least, the end of season 4, then you might have some story elements spoiled. Consider yourself fairly warned! Unlike what you would expect from a show turned video game, the story picks up from the end of show’s season 3 and the infamous Red Wedding. Interestingly, TellTale chose to go with a somewhat unknown family, the House of Forrester, which is off-handedly mentioned in the books and isn’t even mentioned in the show. As such, you are thrust into the story of a house in disarray, trying to deal with the political and world changes that the Red Wedding has brought on. Much like other TellTale games, you don’t control one character, but five. Ranging from the lord of the house who is thrust into a position of power before he’s ready, to a member of the house serving on the wall, to a Sansa – like girl who develops from a shy little thing into a schemer. There’s also two more characters who come in later in the game’s episodes who also act as lords of the house. Unfortunately, this mirroring of the characters from the main show is a letdown in terms of narrative. Having a new and, somewhat unknown in the literature, house, should have allowed TellTale to really go places they couldn’t have before, while still maintaining a canonical story. What happened instead, is that we’re treated to pretty much the same character development as the show, albeit with some aspect of choice. Speaking of choice, much like other TellTale game, gameplay mostly comes in the form of quick time events (QTE) and gut-wrenching choices. Game of Thrones does a good job of presenting you with difficult choices to make, and the QTEs are satisfying when you do them right. There’s also the fact that you’re playing the world of Game of Thrones, which is grim, complex, and yet somehow beautiful, so if you’re a fan of the show or the books, then you’ll definitely enjoy the atmosphere. That being said, the choices that you make are decidedly hollow, with the game mostly guiding you back to how the story should be, rather than allowing you to create your own story with different outcomes. Sure, some characters will die and live based on your choices, but ultimately, whoever needs to survive will survive, and you’re always pretty much following a set piece story. While that’s part of the problem of creating an interactive storytelling game within an established franchise and story, it doesn’t mean that decisions should feel hollow and unimportant. Fortunately, TellTale does well with telling the story, with the first episode establishing the characters, and then 2-5 building up to a climax. The downside is that the game is obviously set up for a second season, so the finale, episode 6, ends on a cliff-hanger and isn’t very satisfying. That isn’t necessarily bad, the studio does have certain contractual obligations I’m sure, and they do want to be financially successful, but the finales of the show are grand and satisfying, something that the game doesn’t capture. Of course, one is never done with a TellTale game without talking about the graphical style, one of the mainstays of the studio. Unfortunately, the game suffers from TellTale’s overextension of releasing the game on every single platform under the sun, meaning that there’s no focus for graphical optimization. Clunky and unreal movements, textures that look better close-up than far away and other strange oddities plague the game, which is running on an outdated engine. 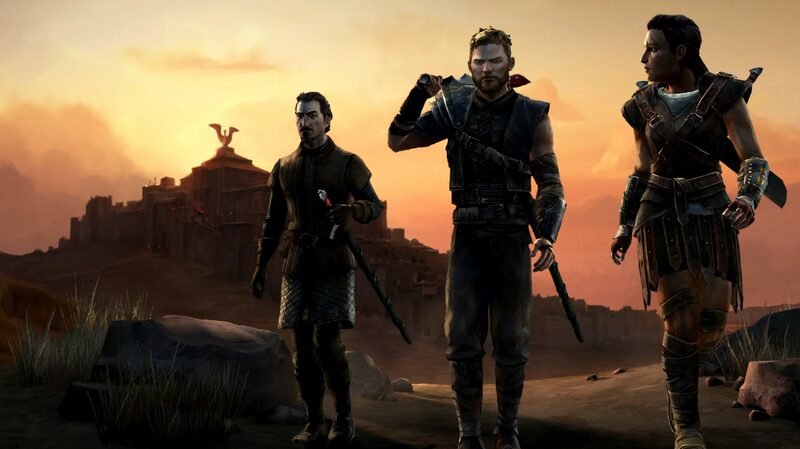 So where does Game of Thrones by TellTale stand? 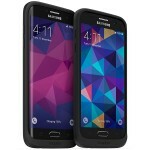 Well, it’s a fun and engrossing experience, even though it can ultimately feel futile and shallow. There are issues with the graphics, but the world does capture you, and you’ll definitely won’t regret playing it. 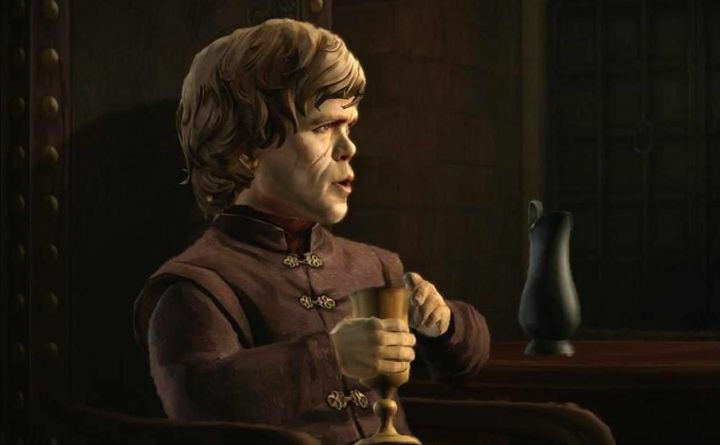 The game might have been served better if TellTale was allowed more creative freedom and branched off the book’s story just like the show does, or if each ‘season’ of the game followed a different house offering fresh perspective. 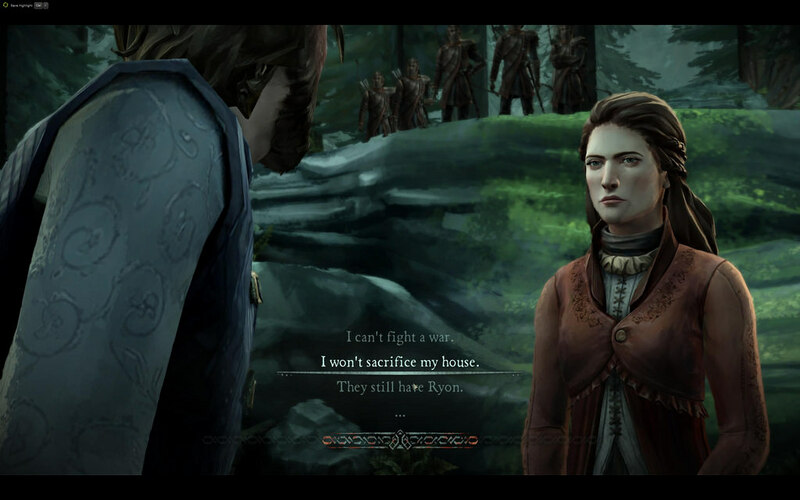 While it may not be the case, you should still play this game if you’re a fan of Game of Thrones. 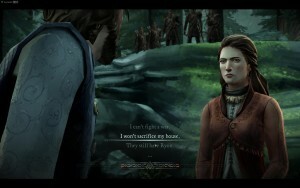 What do you think of Game of Thrones by TellTale? Let us know in the comments.